I just got these great universal EZ-Lids from Commerce Solutions. These are made from a thick silicone material, which is great because it’s non-stick and heat resistant. You get two sizes (one large and one small). 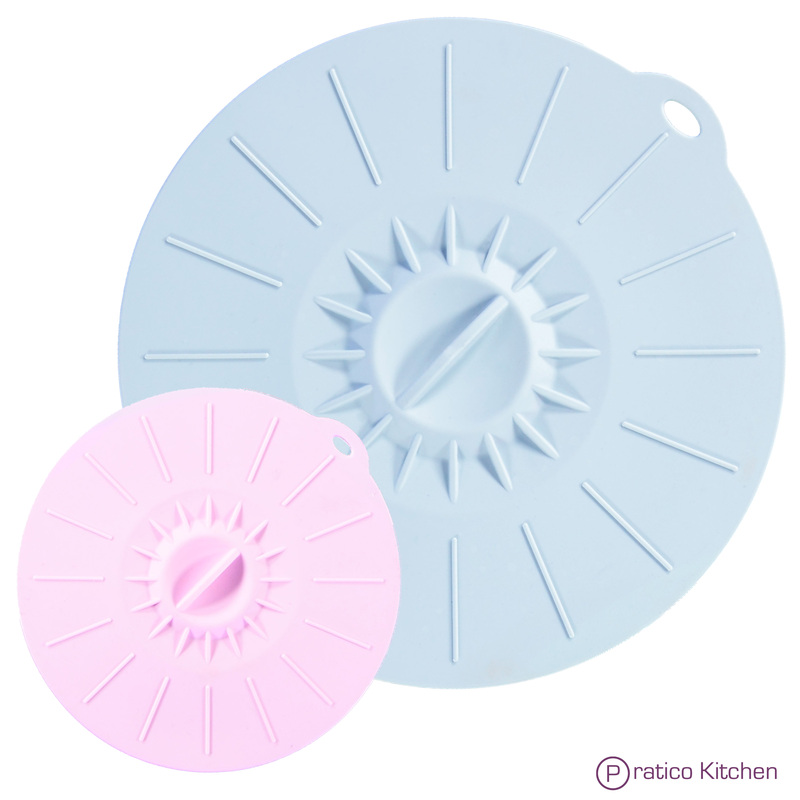 These are so easy to use, just pop them onto any bowl or pan to have an instant lid. These are so great, you can have a lid for any bowl or pan you have. I also love that they create a suction so they won’t fall off. You can even pick it up with the handle. Another feather I love is that they have a hole in the top so you can easily hang them. So much easier then keeping track of a bunch of lids that only fit one bowl or pan. Super easy to use!